The Visual Ministry Choir (or VMC for short) has been drawn together from some of today's leading vocalists and musicians found within the British gospel music scene, in order to sustain its ranks of unbridled talent and ability. 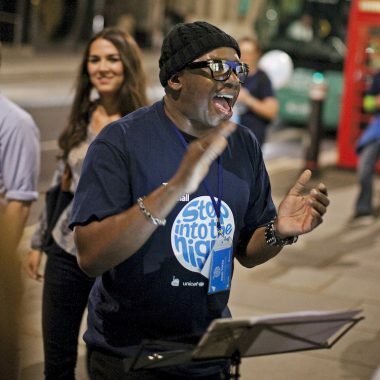 The choir appeared on the video of top boy band Westlife's No. 1 hit single Flying Without Wings, and secured a place in musical history when they appeared on Perfect Day, a song that sold over 1.7 million copies in aid of Children In Need. 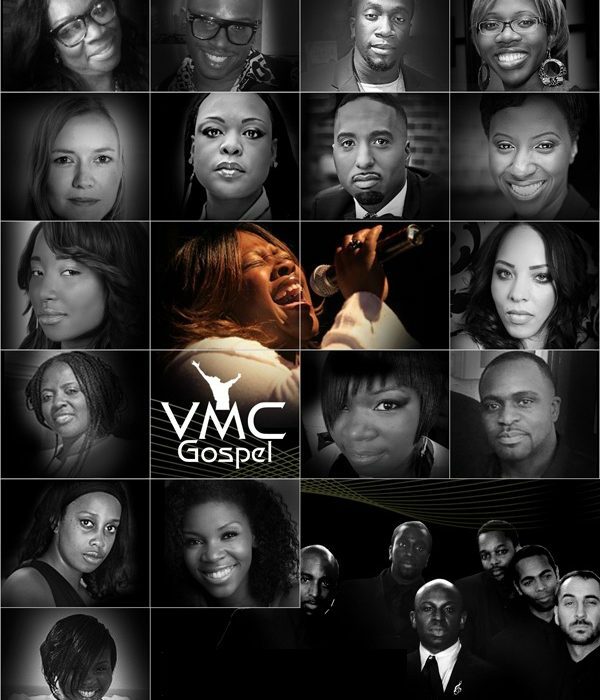 The Visual Ministry Choir (or VMC for short) has been drawn together from some of today’s leading vocalists and musicians found within the British gospel music scene, in order to sustain its ranks of unbridled talent and ability. 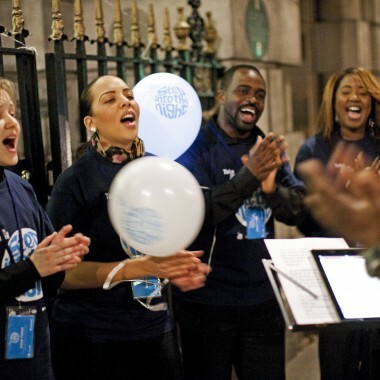 The choir appeared on the video of top boy band Westlife’s No. 1 hit single Flying Without Wings, and secured a place in musical history when they appeared on Perfect Day, a song that sold over 1.7 million copies in aid of Children In Need. 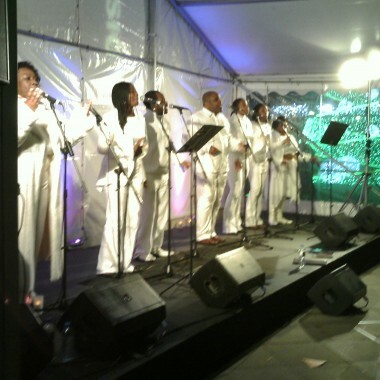 Originally formed in 1996, the VMC has since forged a reputation for creating its own unique brand of gospel music which has done much to increase the growing popularity of the British gospel sound. On stage, their unique vocal ability has become an asset by comparison with other choirs of the same genre. Evidence of this fact can be seen from a list of accomplishments which continues to grow with credibility and respect, including an abundance of television appearances such as: The Michael Barrymore Show, The Big Breakfast, Sky 1’s The Dream Team, The Lee Evans Show, The Generation Game, The Eleventh Hour, Saturday Night Live, The Mag, London Tonight, The Jonathan Ross Show, Top of the Pops, Songs of Praise, Sunday Morning Programme for Anglia TV, Channel 5’s Alpha Zone, EMMA Awards, Wogan and The Lottery Show. The VMC has also supported a variety of recording artists, both in the recording studio and on stage, as well as in front of the television cameras, including: Carlene Anderson (Children in Need), Sarah Brightman & Duran Duran (New Years Live Show, BBC), Terry Callier, Mariah Carey (Top of the Pops), Dina Caroll, Cleopatra (Cleopatra in the House), Coolio (Top of the Pops), Gloria Estefan (1996 theme song for the Olympics), Jools Holland (Tonight with Jools Holland) and Westlife. In the field of national events, corporate entertainment and hospitality, the VMC has endorsed its presence with Cadbury’s, Coca Cola, The Natural History Museum, Carlton Television Launch, Saatchi & Saatchi, Harrods, British Telecom, Ministry Of Defence, Gap, Debenhams, DH Evans, Orange Mobile, The Hogmanay Festival (Edinburgh), and appeared at Wembley Stadium prior to an England football match, and over nine days leading up to Christmas at Selfridges in Oxford Street, London. The VMC has performed in front of Her Majesty the Queen on two separate occasions to celebrate Commonwealth Day along with Prime Ministers John Major and Tony Blair respectively. Also, alongside Chaka Khan, Roger Daltrey, Jeffrey Osbourne and Gladys Knight at the Royal Dublin Society in Ireland, in front of the President of Ireland, in an exciting and spectacular reworking of Handel’s Messiah; for Dr Maya Angelou’s 75th Birthday Celebration; on John Paul II Day (Polish Prime Minister and his Officials); for the Stephen Lawrence 10th Anniversary Memorial Service; at the 2004 Olympic Torch Relay and undertaken many more high profile events. However, in spite of the above plaudits, the VMC ensured its place in musical history when they appeared on Perfect Day, a song that sold over 1.7 million copies in aid of Children In Need and featured such prominent artists as Joan Armatrading, Bono, David Bowie, Boyzone, Elton John and Tom Jones. Their stirring melody, featured at the end of the song, typifies in depth their sublime quality and professionalism. In 1998, the VMC released their debut album entitled Visually Speaking. Here, the VMC has become the embodiment of what it stands for as a Gospel Choir, and the album received critical acclaim and support throughout the Christian music industry here in the UK, and also in Europe after the choir conducted successful tours of Switzerland and Poland. 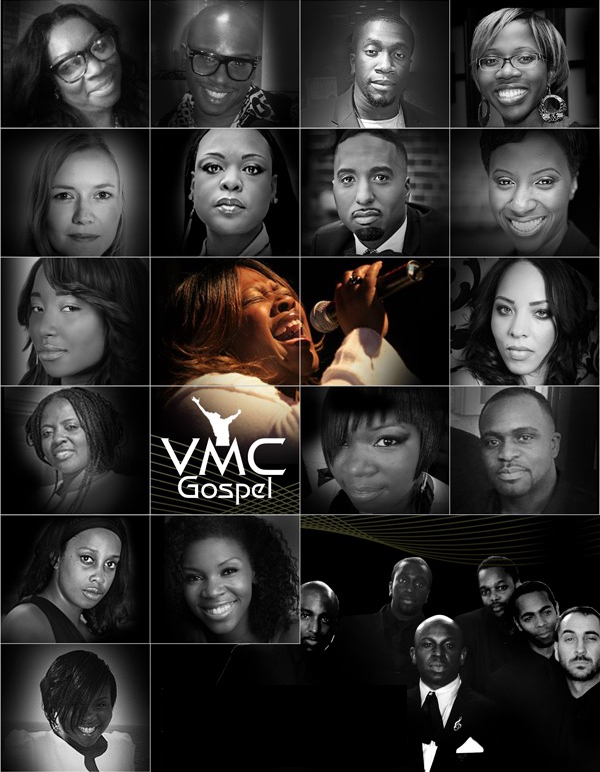 Furthermore, the diversity of talent and style possessed in depth by the VMC means that their ability to sing in a moving traditional style, or in line with today’s growing trend for a more contemporary sound, will not prove a hindrance to anyone seeking to use the sounds of a gospel choir, whatever the purpose or occasion. Needless to say, the result will always prove to be the same… outstanding! Just a note further to my chat with Caroline to say thanks so much to Visual Ministry for being fantastic this weekend. The guys were really great – very accommodating, and easy to work with. The logistics of the event were quite tricky in the end, and the choir’s flexibility really helped with the smooth running of the event – to top it off the actual singing and performance was beautiful and very uplifting.